When you think about soul food what do you think of? When you think about vegan foods what do you think of? Now….what comes to mind when you hear the phrase “vegan soul food”? Now if you were just as confused and curious as we were look no further. The Southern V is here to put you up on game!!!! 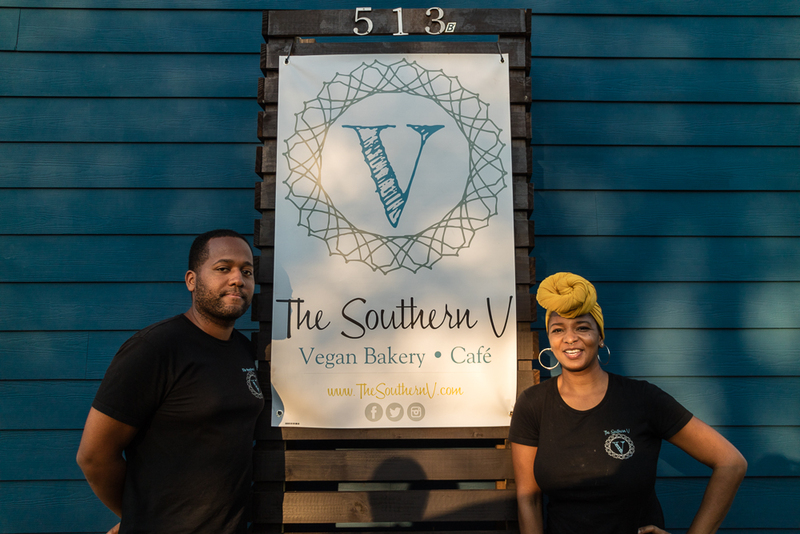 Located near Fisk University at 513 Fisk St., The Southern V‘s “Vegan Shack” caters to serving southern vegan entrees and pastries to go. We had the opportunity to sit down with husband + wife team, Clifton and Tiffany Hancock, and they shed insight on the inspiration behind their family owned establishment, and what they hope to bring to the food community in Nashville. They were so gracious, humble and full of self-awareness. They also home-school both of their daughters and we found out there is actually a Black Homeschoolers Group in Nashville, who knew! So, tell us what was the inspiration around starting The Southern V? Well, our first born daughter, Eden had some food intolerances when she was born, mainly dairy, so we started by removing that from her diet and giving her almond milk. Then when we had our second daughter, Nora she had more intolerances than Eden. At that time, Tiffany decided to cut out all meat and I decided to explore vegan options also, as I never really understood why a salad cost $8 and a burger cost $1. As we started exploring the vegan lifestyles we noticed there were not alot of options when dining out. 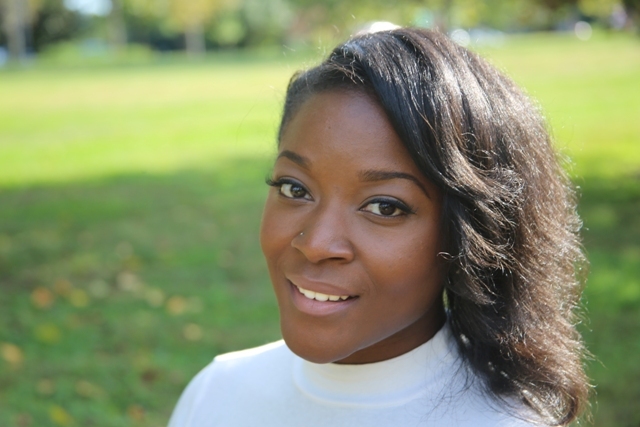 Tiffany has always been a great cook and knows her seasonings so we thought why not explore creating the southern, soul food style vegan meals we were making at home for others looking for vegan options. Side note: Clifton shared that veganism has African roots, as it is plant based and in African culture more plants and fruits are eaten than meat. We are offering a fun, flavorful vegan take on many of the comfort foods people grew up loving and that’s what makes us different. We are always thinking taste first and that shows in each dish we prepare. People are definitely becoming more aware of veganism, rather from a health or animal rights perspective and we want to be that on-the go establishment. Oh and they were even gracious enough to let us sample their menu which made our taste buds rejoice! Seriously, Malia and I are not vegan’s but the food was ahhhmazing and that ice cream cake was everything. Now whether you’re a devoted vegan, or someone simply looking for something new to try, The Southern V is where you need to be. Their soft opening will be on October 1, 2016 with breakfast being served from 9am – 12pm and lunch/dinner from 3p-6p. They have not announced a grand opening date yet, but follow us on Instagram to get the latest information! Love this! We will be down in November from WI and would love to stop in! I hope you’re writing a vegan recipe book. Wishing you the very best in your restaurant and all things vegan. So happy to read your vegan accomplishments. This excites me to know that the vegan community is larger than I antisipated. I have options. So happy for these folks! It’s 2017, is there really anybody that doesn’t know by now that vegan food can be delicious or terrible, depending on who made it, just like anything else?